For point-to-multipoint, non-line-of-sight support, Exalt offers the ExpandAir line that has achieved widespread adoption thanks to its coverage and low cost-per-bit. Capitalize on this savings and further optimize your budget by selecting ExpandAir used Exalt microwave radios. The ExpandAir system initially launched with a sub-6 GHz non-line-of-sight packing using the Exalt eMIMO technology for a multipoint microwave backhaul. Operators use the system to accelerate time to deployment while also dropping overall infrastructure costs. Experience a reliable combination of high-capacity optimal spectrum management and subscriber bandwidth at a significantly reduced cost per bit. 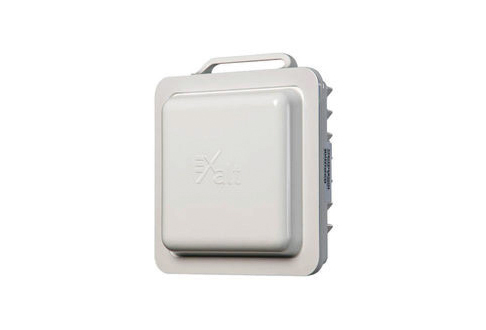 Today, refurbished Exalt ExpandAir units from Worldwide Supply facilitate a wide array of applications, from 4G/LTE backhaul to video surveillance, enterprise connectivity and rural broadband deployments. With a team of certified engineers available to look over any used Exalt ExpandAir units, we can ensure top quality on all refurbished units and can help you make the most of your network at an optimal cost. Give your deployment the long life it needs and facilitate expansion with a new or used Exalt ExpandAir microwave radio from Worldwide Supply. These units are commonplace in small cell backhaul and carrier Wi-Fi offload support in a cost-effective manner. Exalt ExpandAir microwave radios offer wide coverage and high throughput with a guaranteed throughput per subscriber unit so you won’t have to worry about compromised coverage or capacity. For commercial customers, a refurbished Exalt ExpandAir can deliver that same throughput and meet guaranteed SLAs with expansion capabilities through simple upgrade keys. You can secure an affordable B2B WISP today and enhance it as you expand. Utilities on smarter grids are able to deliver the data they need consistently and reliably when transferring to a wireless platform supported by Exalt ExpandAir radios. Video surveillance can often use the remaining bandwidth for a utility brand, though any operator can turn to new or used Exalt ExpandAir units for consistently high resolution and frame rate video. Get the support your network needs at a price you can afford with refurbished Exalt ExpandAir radios from Worldwide Supply. Or, if you’ve gotten too big for your existing radios, talk to us about selling them to generate a new revenue source for your infrastructure growth.